Okonomiyaki is a casual, fun dish that's quite popular with foreign visitors to Japan. 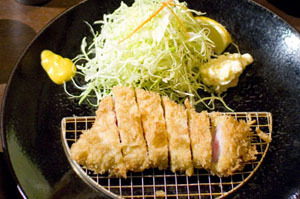 It's basically a savory pancake made with seafood, pork, cabbage and other vegetables, cooked on a flat grill and dressed with mayonnaise and tangy sauce. 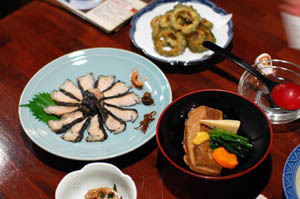 The "okonomi" part of the name means "what you like," and customers can choose their own favorite ingredients to add to their pancakes. 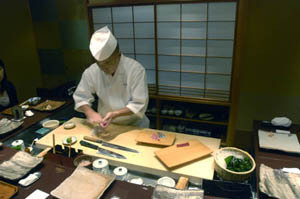 Many shops have customers cook their own okonomiyaki at the table. 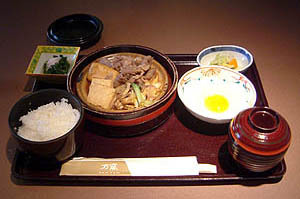 This is a dish with very distinct regional variations. 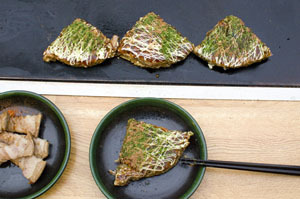 In Osaka-style okonomiyaki, all the component ingredients are mixed together in a bowl of batter, then spread out on the grill for cooking. 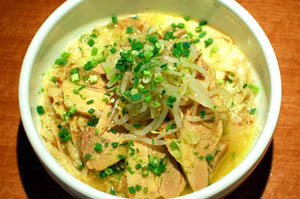 The Hiroshima version is more complicated and takes longer to prepare, as the chef (not the customer) assembles distinct layers of toppings, vegetables, noodles, fried egg and pancake base into the final product. 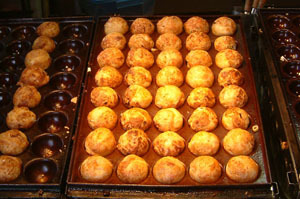 Finally, there's a version called monjayaki, which is similar to Osaka style but with a thinner, runnier batter. 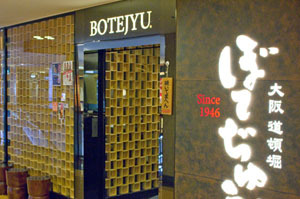 Monjayaki is generally found only in the Tokyo area, particularly in the Tokyo Bay neighborhood of Tsukishima, which is home to dozens of monjayaki restaurants clustered together in one small zone. 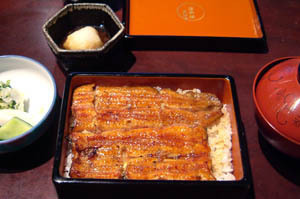 If you're in a cook-it-yourself shop, once you've decided on your main ingredient (e.g. 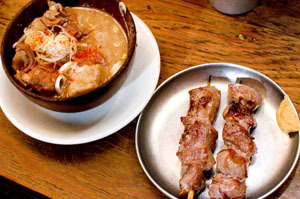 pork, shrimp or squid) and your optional fillings, the waiter will turn on the grill at your table, brush on some oil, and deliver a bowl with the batter and ingredients. Mix these together and pour the mixture onto the grill (once it's hot enough), then use a spatula to turn over your pancake when it's ready. Note that this might take a bit longer than you would expect; ask your waiter for advice if you're not sure, or watch what other diners are doing. 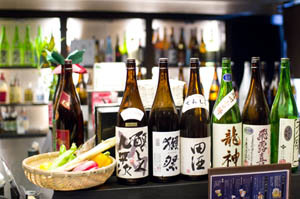 If there's an option for the waiter or chef to cook your okonomiyaki, you might want to take them up on their offer unless you're feeling adventurous. 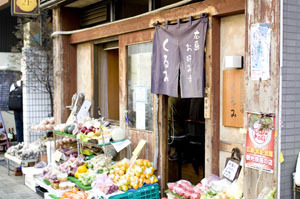 If you're in a Hiroshima-style shop, the ordering process is a bit different - in addition to choosing ingredients like shrimp and squid, you'll generally have an option of either "soba" noodles (actually thin ramen-style wheat noodles) or thicker udon noodles. There may also be an option for no noodles at all. 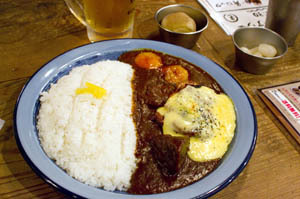 The chef will prepare your pancake and serve it on the grill in front of you. 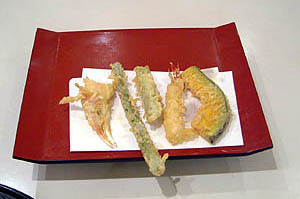 Cut the pancake into bite-size rectangles, and add extra sauce, mayonnaise and other condiments to taste as you eat. 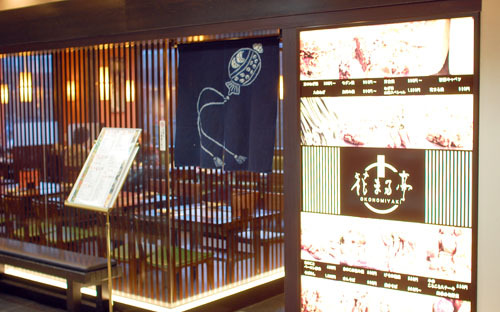 The metal grill in an okonomiyaki restaurant is called a teppan, and menus will feature other foods prepared on the teppan grill, such as yakisoba (stir-fried ramen-style noodles with vegetables and sauce) and grilled seafood, vegetables and meat. 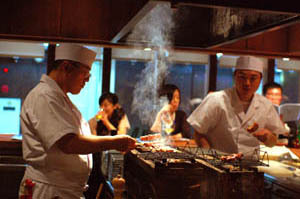 Many shops have one large teppan grill with a counter surrounding it (a good place to watch the chefs in action), while others have separate grills at each table. 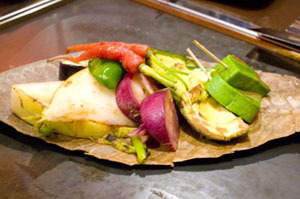 Often okonomiyaki restaurants will also prepare items individually on the teppanyaki grill. Please turn (up/down) the flame. Please turn off the burner. Do you think this is done yet?